The appraisal requirements for commercial real estate come into play for anyone wanting to buy, sell or improve upon a senior housing business in Atlanta. Determining the value of a facility comes with pitfalls unique to the care industry, but it also must be conducted within local guidelines. Thankfully, unless you are a professional appraiser, the finer details can often be left up to a qualified professional. Many laymen understand the basic requirements for commercial real estate deals in Atlanta. For instance, if the property is valued above $250,000, you need a qualified appraisal performed by a professional. In Atlanta, that means hiring a state-certified general appraiser for the job. Appraisers who have completed a course of study at the Appraiser’s Institute will have the designation “MIA,” which stands for “Member of the Appraisal Institute.” However, this designation is not a legal requirement for completing appraisals in Atlanta or the state of Georgia. If you’re having a senior facility appraised, it’s important to go a step further and find an appraiser with related experience. While this is not required by law, it is helpful in obtaining a more accurate report. Your appraiser should adhere to the guidelines found in the USPAP – the Uniform Standards of Appraisal Practice. This document lays out the procedure for performing appraisals and is adhered to by professionals across the country. With over 90 pages of instruction, it would be unreasonable to expect property owners to know all the requirements for commercial appraisals, but it’s up to you to hire someone who does. 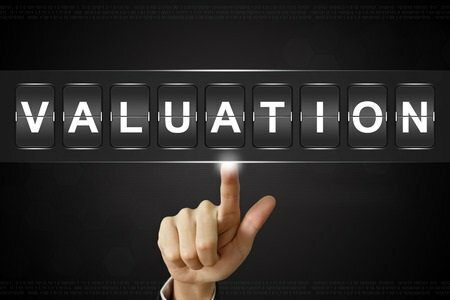 The adage “you get what you pay for” is certainly true in the world of commercial appraisals. Unlike the $300 – $500 you’ll pay for a residential appraisal in the same area, a commercial appraisal often costs over a thousand dollars. Sometimes, the cost is several times that amount due to the amount of record and market research required to establish a property’s value. Avoid appraisers who offer reports for much lower than that amount. It speaks to inexperience and likely will turn out to be too much work for the price. You’re better off spending more for an accurate report. These documents are needed for lenders, for property and business sales and even for IRS purposes, so it’s important for the value of your property to be as precise as possible. However, it’s also possible – especially in Atlanta’s current climate – to be overcharged for substandard work. With the development boom happening in the city, more people are providing appraisals. More people are training for the job too, meaning more appraisers are relying on students to do their work. Make sure the firm you hire has senior appraisers visiting sites and compiling reports vs. simply signing off on a less-experienced appraiser’s work. If conserving costs is a priority, you can go a long way in lowering the number of hours needed to complete an appraisal by providing requested documents and answering questions as thoroughly as possible. And expect reputable appraisers to ask you plenty! Research should never be confused for inexperience. These pros are known for asking clients basic questions simply to test your honesty. The senior care industry is fraught with fraud of all kinds. This is as true at the time of sale as it is during operation. With the government cutting Medicaid payments and tightening the belt on tax credits, it should be expected that values on property and businesses will become even more over-inflated than usual. Accurate appraisals protect buyers, sellers and business owners. However, if you haven’t had one performed in the past, the process might come as a surprise. They’re not as cut-and-dried as those used for residential property — or commercial appraisals performed in the past. It takes several weeks for a thorough and accurate appraisal to be performed. A site inspection is only the beginning. Record searches and market research is where your appraiser’s expertise truly shines. The result should be a sizeable report. It isn’t uncommon for commercial appraisals to span over 50 pages and includes in-depth research on the location of the property, industry trends, nearby competitors and the city’s overall commercial well-being. This goes far beyond comps and structural integrity. However, unless you ordered the appraisal or you’re one of the stated “intended users” you might never see the report. Appraisal requirements for commercial real estate can be surprising. Hiring the right professional for your Atlanta project will help things go smoothly. At Global Valuation, we understand the ins and outs of commercial real estate deals, as well as the complexities involved in valuating senior facilities. Contact us today to perform an accurate, thorough and trustworthy appraisal of your commercial property.